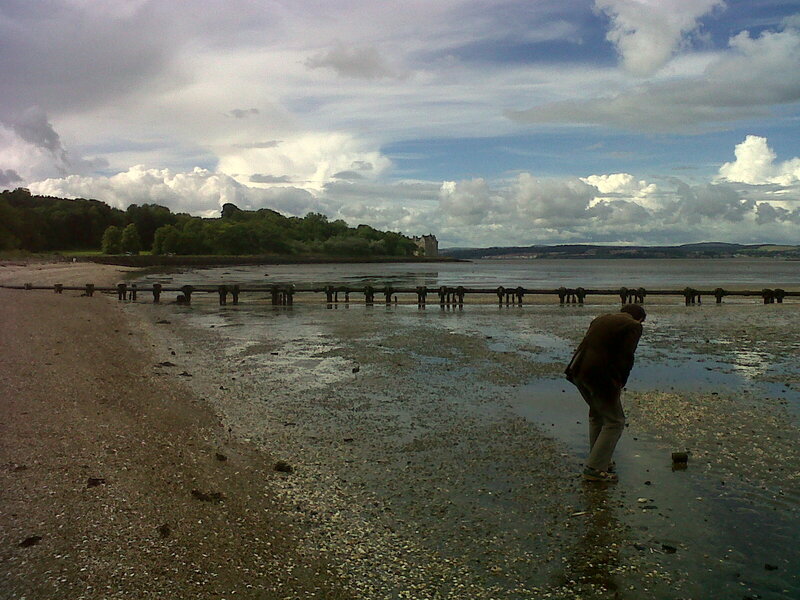 Walking the Dalmeny Estate | Que Sera Sara? Once upon a time I came up with Thirty Things to do when I’m Thirty. And despite the fact these thirty things never make an appearance on this here blog, I have in all actuality completed a good number of them. So it’s time I play a little catch up. There are two great things about living in a super old, pocket-sized city. One is the fact that everything is piled up on top of each other. Buildings and venues were repurposed, reused and reimagined around here long before it was vogue. Veterinary surgical theatres become concert venues, swimming pools become studios, and schools (“for fatherless children”) become art museums. It’s urban recycling at its finest. The other wonderful thing about somewhere so small is the easy access to countryside and waterfront. From the train station by my house, it is 6 minutes on the train and a short walk to a pretty little seaside village. Perfect for Sunday afternoons (especially in the days before we could tootle about with Ollie). Well one fine day last spring, we took said train to Dalmeny station and instead of going down to the village, we walked further up the coast to an old manor house (now part cafe-part museum in the summer months, with the garden converted into a golf course). It’s a quiet little spot, and since its private estate between the road and the shore, it’s almost always deserted, excepting the occasional thwick from the tee. It’s terribly quaint. The lawn has a tiny bit of seashell-strewn private beach at one end, and forest and lakes along the other. As it’s part of the shoreline walking and cycle network, it’s free to roam as long as you stay out of the way, and rather lovely to boot. We wandered up the main drive, past the pastures of sheep and ponds full of ducks, to picnic on the shore, have a gander at old Barnbougle Castle, and then mosey home through the woods. Unless we get distracted hunting for seaside detritus. Then a castle in the distance is nothing to the pibbly rocks beneath our feet. We’ve been back several times since. Now we can drive though, we just park at the cafe parking round the house, but I must admit the journey does lose some of the charm. If nothing else, that gratifying first glimpse of the sea as you climb the final rolling pasture is always something special. And, in our nerdy world, it’s always nice to get a glimpse of the Forth Rail Bridge as you pass the village too. I certainly plan on walking it again. And since it’s not well marked or sign posted for pedestrians, I went and made a little map. You know, in case you were ever in this neck of the woods and keen to see it for yourself. Plus, Google maps assures me it is 5.67miles round trip through these meadows and valleys.